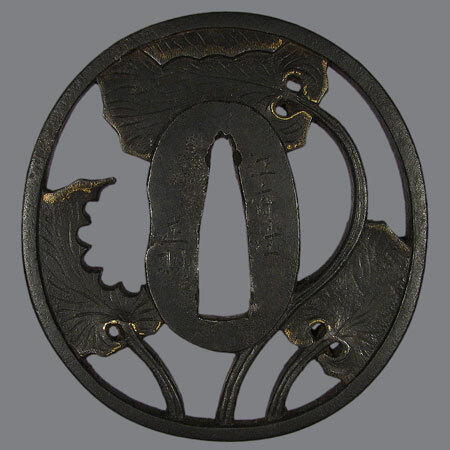 Iron tsuba with three leaves of tsuwabuki 石蕗 (leopard plant), made in ji sukashi. The kozuka hitsu is made as if it was eaten by a caterpillar. Leopard plant (Farfugium japonicum) is a plant with decorative leaves and yellow chrysanthemum-like flowers, native to Japan. The Japanese eat its boiled leaf stems as a side dish called kyarabuki (伽羅蕗). 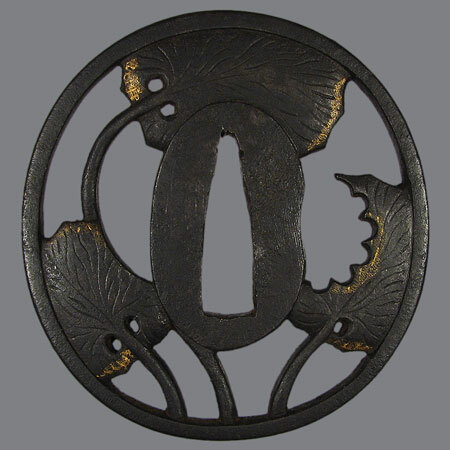 Besides, from Edo period it is cultivated as a decorative plant. 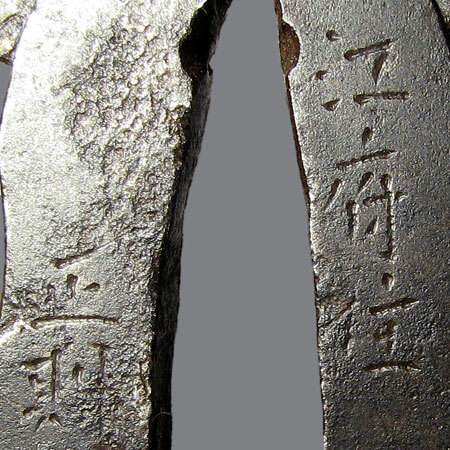 Inscription: 江府住 正則 (Kofu Ju Masanori). Ito school. Nagamaru gata, kaku mimi; 6,6 х 6,2 x 0,5 cm.